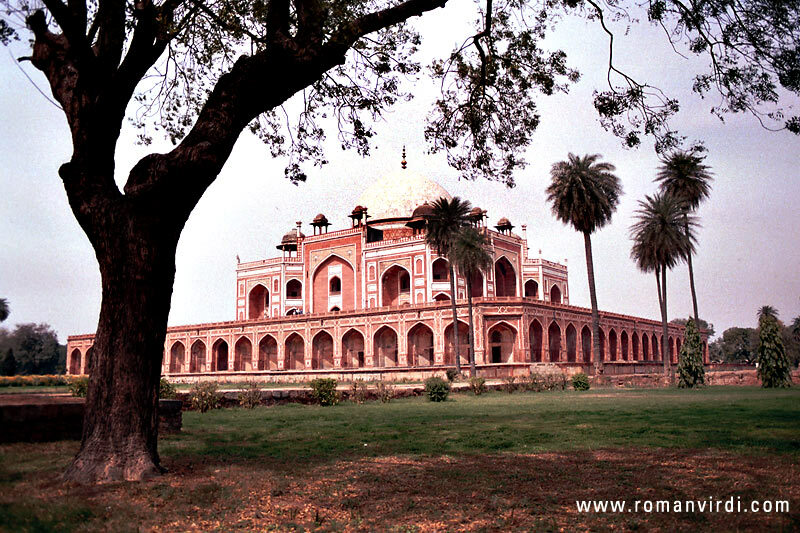 "Emperor Humayun's tomb, one of the first Moguls. Aesthetically, this is one of my favourite Mogul tombs. Noblemen and other members of the court are buried in the little rooms you see at the base of the tomb. Since Muslims must bury their dead under the ground, the extravagant 'tomb' of the emperor inside the mausoleum is a cenotaph: the actual tomb is at the centre of the monument at ground level"